When you step into our main lobby, you’ll think that Mini Entrepot Metro is a different type of self-storage facility. But you’ll be convinced when you take a tour. This facility has been fully retrofitted, upgraded and modernized to accommodate the absolute latest in innovation and technology providing safe and secure public storage in Montreal. We’ve designed the facility to not only keep your belongings safe – but to have you feel secure when you are visiting your space – day or night. Over 400 steel secure storage units. Nobody opens a door to any unit at any time without us knowing about it. Our proprietary locking system and heavy gauge steel construction ensures that it would take a wrecking crew to break into your space – even if they could get past our PIN controlled security and infrared scanning system. Every door alarm and lock is unique to the unit assigned and no standard U-Locks are there to be cut. Protected by . The best in the business. We didn’t invent our security system – we hired the best in the commercial security business to help design and install it. Security Systems provides state-of-the-art monitoring of our facility. And with four linked monitoring centres nationally, there is full backup and virtually no risk of security failure. is excited about working with Mini Entrepot Metro because this is their largest self-storage building security project ever – almost like a 400 home suburb under one roof – all individually wired and monitored. So they have invested considerable time, talent and equipment into what is sure to be a model for the self-storage industry. Our investment in your security. We spared no expense to make your Montreal storage experience a safe, secure, positive one. Witness our quality of construction, attention to detail and technological investment. Plus, the added features of an in-house moving supplies store and established relationships with the highest quality moving, security and asset protection companies. Not just anyone gets in Mini Entrepot Metro. 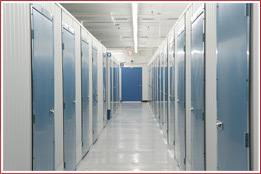 You’ve probably heard the stories about public self-storage facilities. But they won’t happen here. All clients are required by contract to meet specific storage guidelines. Any breach of contract or activity that is seen as a safety, liability or health threat to our facility or our customers will be dealt with immediately by our security staff.